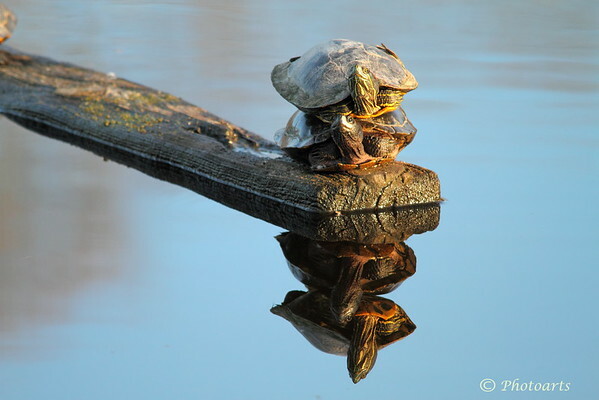 These Painted Turtles climbed on a log and each other to catch some sun and warm up on a perfectly calm lake Washington. They appear to be on the alert mode. Terrific shot! Wonderful find !! Beautifully taken image ! Love the way you composed it, to capture the reflection so well ! !